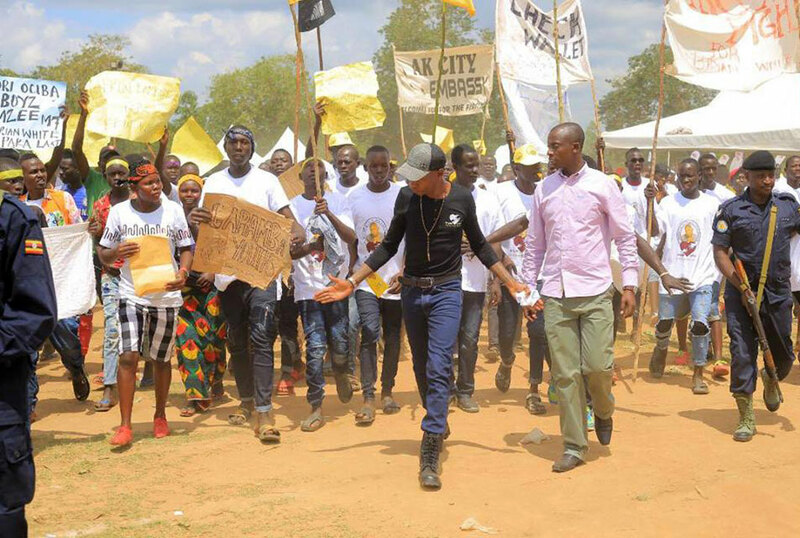 Bryan White (C), Zari Hassan (L) and a resident of Arua resident (L). 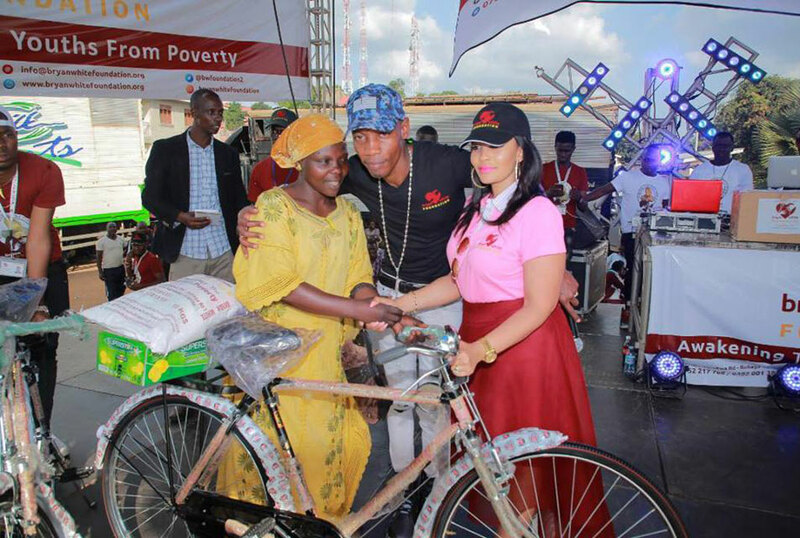 Bryan White gave out bicycles, sugar and other goods plus money to people in Arua. Residents of Arua Municipality have revealed that shadowy Kampala city socialite MP Zaake was reportedly dumped at Rubaga Hospital on Friday morning by unidentified security operatives White gave them money and advised them to vote for National Resistance Movement (NRM) candidate Nusura Tiperu in the recently concluded Member of Parliamnet by-election. Two weeks to the elections, MP Zaake was reportedly dumped at Rubaga Hospital on Friday morning by unidentified security operatives Bryan White (real names Brian Kirumira) pitched camp in Arua Town under the guise of helping youths and women out of poverty. He, together with another socialite Zari Hassan, promised huge sacks of money to the residents of the municipality, but Mr Julius Agondua, who attended many of the activities, said it was a disguised political platform for the NRM to canvass votes. “We were told to vote for the NRM candidate, saying the Opposition MPs are very poor and do not give money. Bryan told us to love the President and said he would make sure we met the President when he visits Arua.” Mr Agondua said. Many, however, said that was taxpayers money aimed at wooing them to vote for Ms Tiperu. However, the heat and dust of the elections are yet to finally settle. Even when other candidates who contested and lost in the by-elections have said they respect the will of the people, there are court cases for both Mr Wadri and his star backer MP Kyagulanyi. The army is set to try Mr Kyagulanyi over alleged treason and illegal possession of firearms, while Mr Wadri, other MPs, and supporters have been charged and remanded over the chaos in Arua.